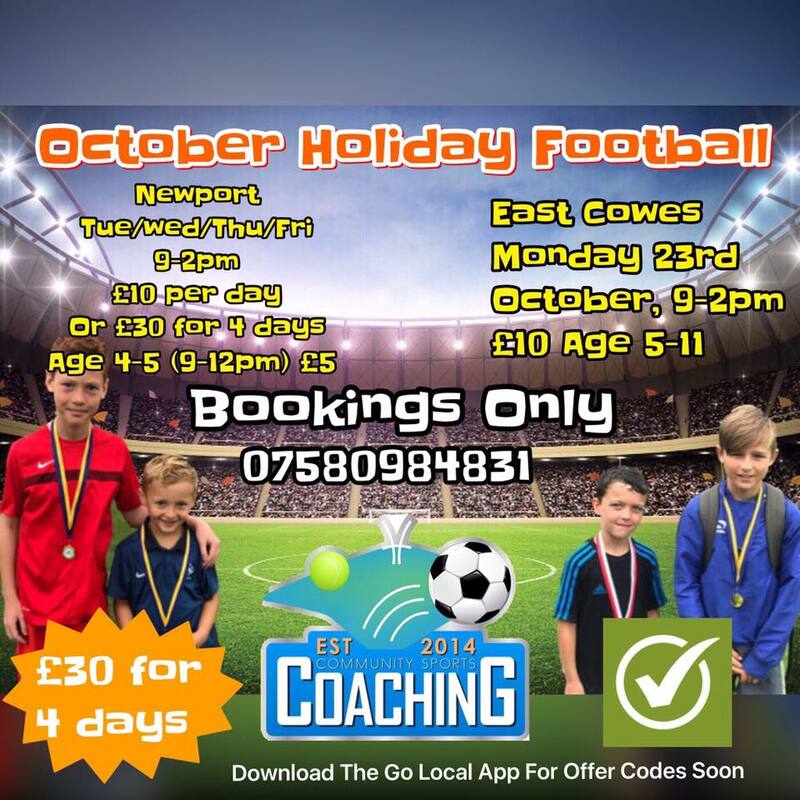 Providing Professional and affordable sports coaching to the Community and Isle of Wight Primary Schools. Ensuring a safe place of play for children to meet new friends, and with an anti bullying ethos. Working alongside parents to educate their child in sport and empower new confidence and skills as individuals and teams. Available throughout the summer holidays. Start date 26th July - End date 5th Sept.
Switch location for only £5 a day! Not only is there an offer for Newport sessions for £30 for four days, inclusive to anyone. Can only be used in October half term sessions. Must be booked at either location, to get the other location for £5. You will also get another session for £5, yes £5. An absolute bargain of childcare.